Safe Solutions Founder, Stephen Tvedten has written numerous books that deal with ways to safely control pests. Below is a selection of his books, but much more of his material can be found on Amazon.com. Stephen Tvedten was President of Stroz Services, Inc. (an alternative pest control company) for 25 years and is currently President of Get Set, Inc., an integrated pest management company and is also currently President of PEST (Prevent Environmental Suicide Today) an environmental group, and Steve is the founder of the Institute of Pest Management, Inc., Prescriptive Nutrients, Inc. and TIPM and the Natural Pest Control Association. Steve is the consultant and advisor for Safe Solutions, Inc. Steve is Head of the Advisory Board for the Natural Pest Control Council of America. Steve was licensed as a Michigan Residential Builder and Maintenance Alteration Contractor and holds or has held Michigan pest control certifications in the following categories: Forest Pest Management, Wood Preservation, Turf, Ornamentals, Seed Treatment, Aquatic, Swimming Pools, Cooling Towers, Right-of-way, Structural Pest Management, Wood Destroying Organisms, Vertebrate, Interiorscape, Mosquito and Public Health. Steve also holds or has held Texas pest control certifications in General, Pest Control and Termite control, New York certifications in termite, structural, pest and rodent control. Ohio pest control certification in the following categories: seed treatment, general aquatic, swimming pool, general forest pest, timber stand improvement, wood preservation, industrial vegetation control, ornamental plant and shade tree, interior plantscape, vertebrate animal control, turf pest control, domestic, institutional, structural and health related pest control, general pest, termite, mosquito, house fly and vector control and Wisconsin certifications in forest, ornamental and turf, seed treatment, aquatic, right-of-way, general industrial, institutional, structural and health related, termite and wood preservation; State of Illinois certifications in seed treatment, right-of-way, ornamental and turf, forest, aquatic and mosquito pest control; State of Indiana certifications for seed treatment, wood preservative non-pressured, forest, ornamental, aquatic, right-of-way, residential, institutional and non-food industry pest control. Steve has held West Virginia pest control certifications in general pest, structural pest, wood treatment and public health. 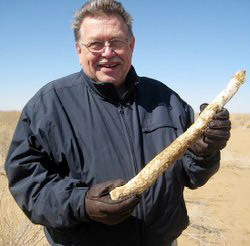 Steve has been a science advisor for the National Pediculosis Association. Steve is a member of the Entomological Society of America. Steve is or has been a member of The Xerces Society, the International Cockroach Society, Inc. and the International Organization for Biological Control of Noxious Animals and Plants, Neartic Regional Section. Steve has been on the National Coalition for the Chemically Injured (NCCI) advisory board for proposed rules for IPM in schools. In addition Steve is or has been a certified home inspector, a certified termite inspector, a certified asbestos inspector and a certified environmental inspector. Steve developed the first guaranteed termite inspection program for real estate and the Get Set IPM program.